David Wygant is a life and relationships coach who reaches over 1.7 million people every month. 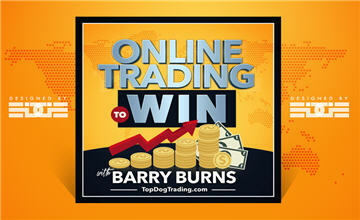 Recently he set out to master the profession of day trading the stock market. How techniques for attracting women apply to trading. How an individual’s unique personal history influences their trading success or failure. What you can learn from Bill Belichick about trading stocks. … in fact we ended up talking quite a bit about football (American football that is). In this podcast you’re getting an inside, candid, personal, informal, even voyeuristic experience between David & I. Sit back and enjoy! David is a Life Changer, Social Strategist, Dating & Relationship Coach. 1.7 million men & women go to him every month to find the secrets to success. After 20 years of coaching, he’s discovered the golden keys to success in dating, business, health and wellness, and life. He’s helped millions of men and women around the globe achieve success in their dating, social and personal lives. Some say he’s nuts, others say he’s changed their life forever. One thing’s for certain: he’s always candid and real, never sugar coating anything.